The West Highland Terrier–also known as a Westie–originated in Scotland as a hunting dog for smaller game. They come from a long line of Terriers bred to hunt foxes, badgers, and vermin (especially because of their size and agility). While there’s a lot of debate around the topic of their exact lineage, a popular idea is that they originated in the 1600’s when the king of France received a litter of ‘earth dogs’ as a gift. Although this could be entirely untrue, part of their back story comes from a (myth?) British soldier that accidently killed his West Highland Terrier in a hunt. The reason why this is important is it’s said after the tragedy, he decided to streamline the breed and produce only white canines in so that they’re easily visible in contrast to their environments. With such a variety of breeds before the West Highland Terrier, it took a plethora of different names. However, it was first recognized specifically as the West Highland Terrier in England at the start of the 20th century. In 1908, a couple years after England recognized the breed, America followed suit and the AKC induced the canine as its own breed. The White Highland Terrier temperament is affable by nature, and simply doesn’t fall victim to little dog syndrome (as many Terrier’s do). Their affinities and desires are simple, often completely satisfied in the home of those they love or with a toy they can toss around. With impressive intelligence for a smaller dog, the West Highland White Terrier behavior is dignified (not too a fault, however), confident, and have a lust for mischievousness. Although a huge lover for attention and being integrated deep into the family, they can be not-so-cuddly. These spunky little canines will rise to the call of an adventure in a split second, often mobilizing at the sound of your keys or keywords they know that have something to do with the outdoors. This is one of those breeds that have a pretty striking difference in sexes. The Males–while docile by nature and intelligent enough to pick up training–are a bit more stubborn in their housebreaking. They’re also spunkier, tend to bark more, and can feel threatened in the presence of other males. The females are usually calmer, even more docile, and have slightly better temperaments (generally speaking, as this has to do with a lot of variables). The White Highland Terrier is both docile and intelligent, making them easy to train. Some owners say they can be a bit resilient when it comes to housebreaking, but that’s also because these dogs are small enough that often their ‘accidents’ do not hold the gravity as a bigger dog. Thus the owner is less affirmative, and the at times the rebellious spirit of the White Highland Terrier will become more apparent when they feel there is room for challenging. Crate training definitely helps establish the home for this breed, and it certainly accustoms them to small spaces (which is good for future travel). Puppy classes aren’t necessarily a must with this breed, but they’re definitely useful. Particularly because of how well this breed responds to training. They learn quickly, and know to bring those lessons home. At home, as an owner you need to establish yourself as the alpha, but not hold too affirmative of a hand. This isn’t a dog that needs to be scolded or even constantly reminded of your authority, but one that should respect your role in the household and then be rewarded for their good behavior. Like most Terriers, despite their confidence and competence, these are sensitive creatures. If you’re too firm with them, or use fear to keep them at bay, you will ruin their trust and create an anxious, yappy, and introverted canine. Early-socialization is key for this breed as well, as they can tend to be a bit aggressive with strangers. While this can be a fantastic watch dog trait, it can be unproductive if not handled properly. The exercise requirements of a White Highland Terrier are moderate, but there’s a bit of a twist. Even though these aren’t dogs that need (nor are capable of) vigorous daily exercise, they absolutely need outdoor stimulation. The ‘hunt’ is in their blood, which means they need that fresh air, outside environments, and the time to run around chasing birds daily. Around twenty minutes of exercise a day should suffice, and often can be nothing but a brisk walk (a brisk walk for you is a long walk for them). These Terriers benefit greatly from having a backyard, although they’re adaptable to most living situations (something that makes them very popular). A tired White Highland Terrier is a behaved one. If they’re not properly stimulated and exercised, they’ll turn that inwards and can become anxious, barky, and aggressive. However, as they age, they become more content in their environments, and end up losing that necessity for stimulation (although they might never stop chasing the cat around if there’s one in the house). The West Highland Terrier typically lives anywhere from 12-16 years. Are Westies a Popular Breed? The White Highland Terrier ranks 41st in the AKC’s most popular dog list of 155 dog breeds. While these little canines can make fantastic pets, and can often be a favorite among Terriers, they lack the capability of being well-suited for smaller children. This is perhaps while–although still popular–they’re not further up the list. Despite, their presence here in the states has only grown since the early 1900’s, and it’s not uncommon to see them trotting along their owner’s side. They’re funny, entertaining, and loyal, and make a great apartment dog for those without young kids. 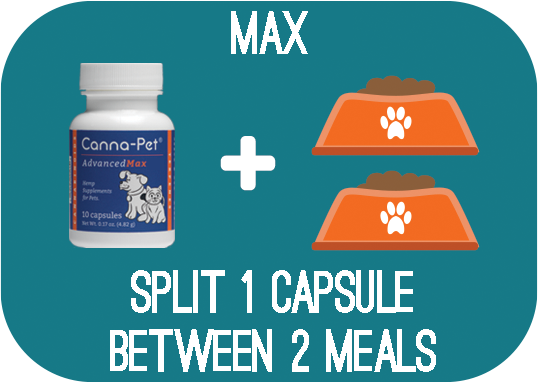 The recommended daily amount to feed a West Highland Terrier is anywhere from 1/2-1 cups of high-quality dry food per day, broken into two even meals. These dogs can be sensitive and at times picky eaters (some of them have a difficult time digesting copper and will need zinc pills to help their diet), so often you’ll need to experiment with different food products and combinations to keep them satisfied. As with all dogs, weight, metabolism, age, and activity-level are all important factors to consider when administering a balanced diet. Each one needs to be assessed when creating a healthy meal-plan for your little West Highland Terrier. The ‘natural’ color of the White Highland Terrier is white. While there are certainly different variations of their coats, it’s usually perceived to be a fault in breed (or a lack of purity–especially for those well-versed in dog culture). They sport a double coat, with a shorter undercoat that helps regulate body temperature. These coats are easy to manage, however, and they’re not prone to shed too much. Brushing a couple times a week should suffice (if it’s done daily there’s a high chance you’ll mitigate any shedding). Since this is indeed a show dog, you’ll see a lot of White Highland Terriers groomed to a tee, with rounder heads (this is almost always done by professionals). Only bathe when needed. These dogs don’t need regular bathing, and aren’t prone to roll around in muck outside and reek of filth. They often need to be washed down (or patted) if you intend to keep their coats shiny and bristling. Aside from that, you’ll have to trim their nails monthly, as you can’t expect the West Highland White Terrier dog breed to wear them down on their own. Brush their teeth two-three times a week to avoid tartar and bacteria buildups as well. Check their ears, eyes, mouth, nose, and bodies for anything suspicious. It’s best to carry out these examinations weekly. What you should check for: inflammation, redness, infection (often indicated by smell), rashes, and parasites. Are Westies Good with Children? The Westie does well with children, but not with really young ones. There’s a couple reasons for this. One, these little Terriers have the ‘hunt’ in them, meaning they’ll often play a bit too roughly or have tendencies to nip. Not only that, but they’re small and delicate and can often be injured if not treated with proper care (which isn’t always how younger kids play). While it’s not an end-all, and there are definitely situations where–if introduced early on–a White Highland Terrier can make a fantastic pet for the household with smaller children, but it’s generally recommended that they’re not brought into a home with children under 5 years old. They have a strong prey drive, can be aggressive if they feel threatened, and they’re tiny. While they’re well-tempered and intelligent, the West Highland White Terrier traits aren’t the best when suited with young children. Cataracts: a cataract is an opacity in the lens of the eye, and depending on the severity of said opacity, can either be benign or detrimental. This particular breed is usually afflicted by the type of ‘juvenile’ cataracts that don’t always need to be operated on. However, there are various treatments available for this condition, and removing the opacity can often heal the eye (or improve vision). Craniomandiublar Osteopathy: this condition occurs when the skull begins to develop in the puppy years. To put it simply: it takes place when the skull bones form together abnormally. Symptoms usually show in the 3-6 months ages, as the nose, mouth, and jaw will become inflamed and the puppy will have a fever and exhibits signs of general pain. While this condition is often no more severe than ‘growing pains,’ at times the jaw can form misaligned and will need corrective surgery. Pulmonary Fibrosis: quite a difficult condition to diagnose, this occurs when the tissues in the lungs begins to fail, and does not regulate oxygen into the bloodstream. It’s a gradual condition–one which usually shows up later in the dog’s life–and there are no current cures currently available. Often symptoms will include difficulty breathing, a loss of stamina, heavy grunting when exercising moderately, and at worse fainting. Patellar Luxation: this condition occurs when the kneecap has a propensity to dislocate (whether from an injury or improper growth). While it can be crippling for a dog’s mobility, it can also be something they adjust to, often correct their gait to compensate for the weak knee. There are a slew of different treatments available, and often surgery can correct the issue indefinitely. The suggested dose of 3×3 per day has made SofaBoy much more alert, playful (He’s bringing his squeaky to play) and limping far less…that’s amazing! We are now over a year later and there are NO signs of the Spleenal Cancer but the Bladder Cancer has progressed SLOWLY. After multiple attempts at finding the right mix of drugs for him, not only did we discover the miracle of Canna-Pet, we opened our vet’s eyes to a whole other option for suffering animals she cares for.